Screens allow cool breezes to come through, that can help you save energy on your air conditioning bills. Cleaning and maintaining the screens will help extend their useful lives. NOTE: The tasks and timings shown here for your Window Screens are based on a single-family home (owned), located in Massachusetts, United States, with priority set at ‘1 star' or higher, for all possible goals. If you set your personalization differently in your Home Wizard app, then you may get reminders for different tasks and timings in your recommended home care program for your Window Screens. 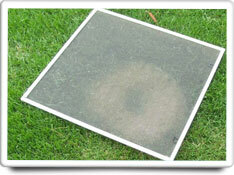 Inspect each window screen. Holes should either be repaired with a screen patch, or replaced. To clean the screens, lay them flat on a picnic table, driveway, or saw horse, and scrub them with a soft bristle brush and a mild detergent. Put a cloth underneath the screen to help keep the screen from being scratched. Rinse with a garden hose, and allow to dry thoroughly. When installing the screens be sure that there are no gaps between the screen frame and the window frame, where insects can pass through. Apply weather stripping if needed. The benefits of this task are improving the effectiveness of your window screens, and enables you to use natural breezes to cool your home which can reduce your air conditioning energy bill. The cost of this task is relatively high from an investment of time standpoint, depending on how many window screens you have and how difficult they are to install.